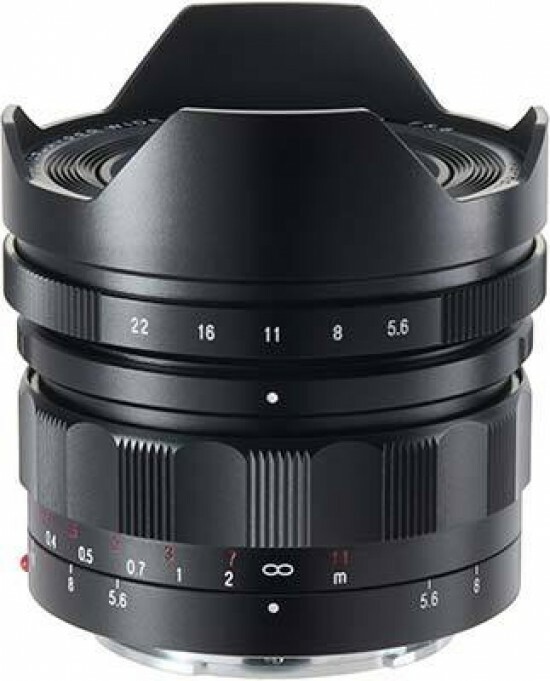 With a maximum diameter of 67.4mm and a length of 68.5mm, the Voigtlander 10mm F5.6 Hyper Wide Heliar is a ultra-wide-angle fixed focal length optic that's well-suited to Sony's full-frame mirrorless camera bodies. Weighing in at 375g it's also not that heavy, making this lens well suited to hand-holding as well as to life on a tripod. 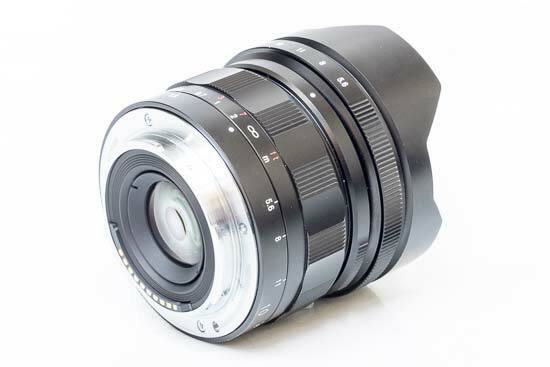 It is also compatible with APS-C cameras, where it will produce a 15mm equivalent focal length. 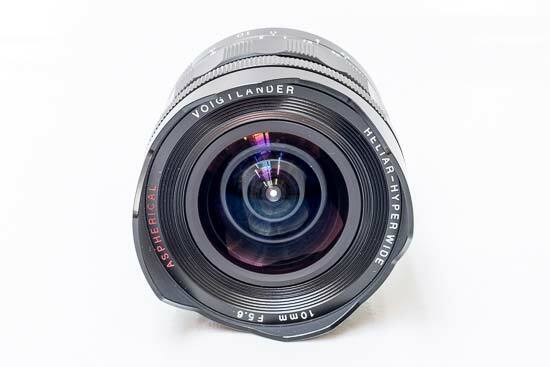 The Voigtlander 10mm F5.6 Hyper Wide Heliar boasts superb build quality, with all markings being both engraved and painted. 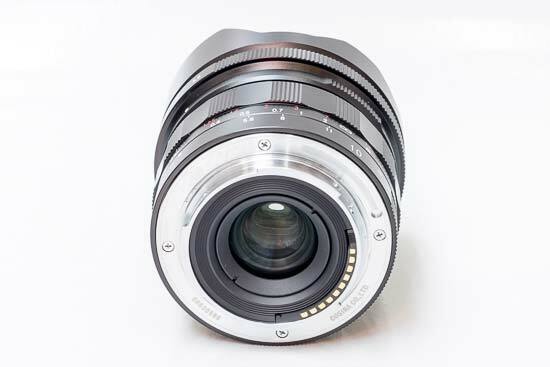 The lens has an all-metal casing and also features a metal E-mount bayonet. 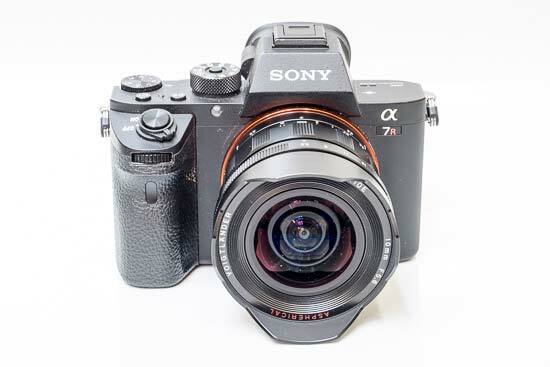 With no need for a zoom ring, the manual focussing ring spans a significant width of the lens barrel and is exceptionally smooth to operate, complete with a useful depth of field scale. In front of this is the aperture ring, with 1/3EV stops ranging from f/5.6 to f/22. 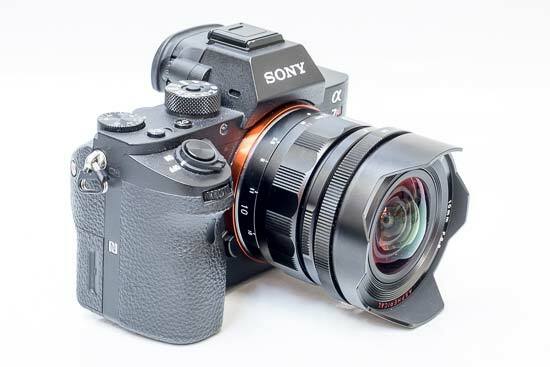 A second small ring directly behind the aperture ring lets you select whether the aperture ring clicks into place at each aperture stop or rotates smoothly for silent operation during movie recording. Simply pull it forward and rotate by 180 degrees until the yellow marker is on top to make it clickless, perfect for video use. 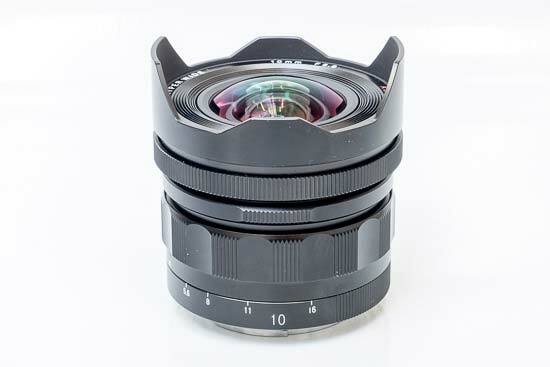 The Voigtlander 10mm F5.6 Hyper Wide Heliar has 12 lens elements in 10 groups and an almost symmetric lens design that promises better distortion, color correction and image field flatness. 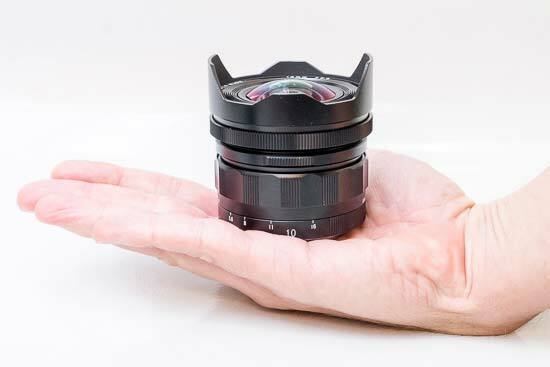 A ten-bladed rounded diaphragm helps to provide smooth bokeh blur. 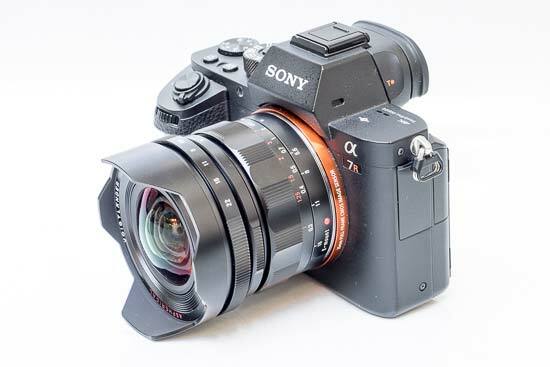 There’s no optical image stabilisation, but the lens’ very short focal length and fairly fast maximum aperture alleviate the need for it. 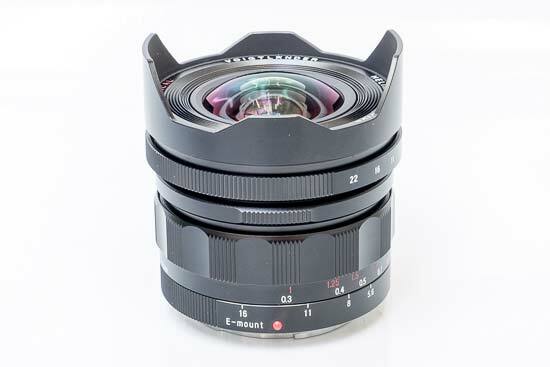 A non-removable metal petal-shaped lens hood is fitted, which means that you can't use a slot-in filter system with this lens. 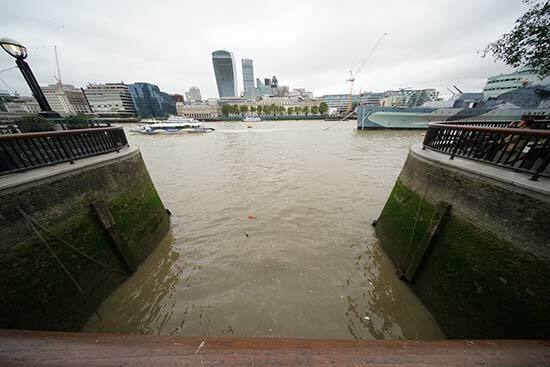 The 10mm focal length gives an angle of view of 130 degrees on a 35mm full frame sensor. 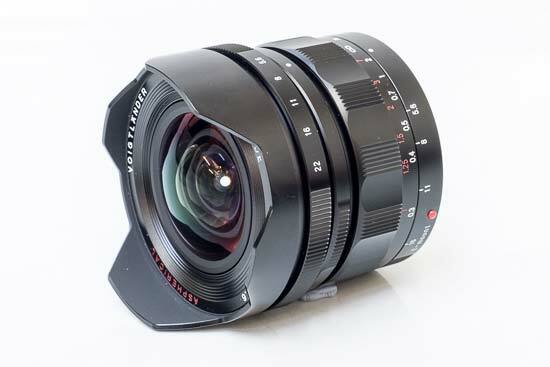 The Voigtlander 10mm F5.6 Hyper Wide Heliar's manual focussing ring spans a significant width of the lens barrel and is exceptionally smooth to operate, complete with a useful depth of field scale. It also has a large rotation angle of 90 degrees which enables precise focusing and moves smoothly without any play. 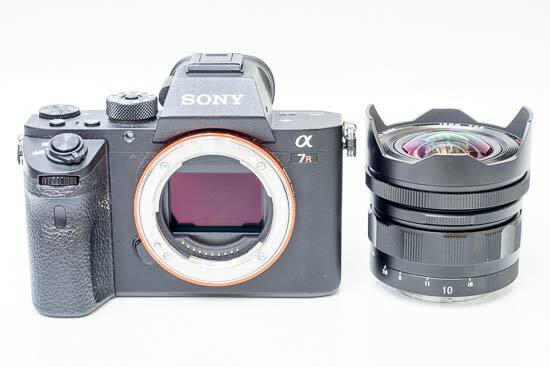 The precise engravings in meters and feet, together with the depth of focus scale, help make manual focusing a veritable pleasure, especially in conjunction with the excellent Peaking feature offered by the Sony A-series cameras. 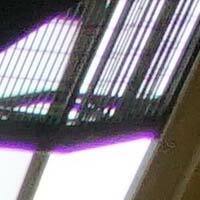 Chromatic aberration (purple fringing) isn't too much of an issue with the Voigtlander 10mm F5.6 Hyper Wide Heliar lens. 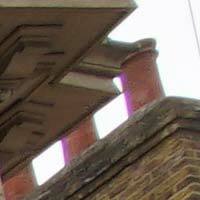 We could only find a few instances of fringing in our test shots. Light fall-off is noticeable wide open at f/5.6, though this is to be expected for such a wide-angle lens and can easily be corrected in Photoshop. Stop down to f/8 and the vignetting is already less prominent, but it is still visible when shooting pale scenes that fill the frame. 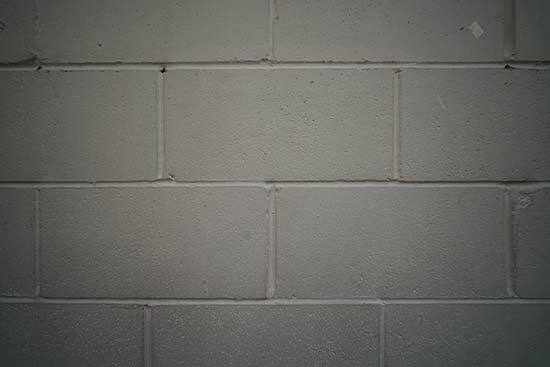 A 30cm / 11.8" minimum focus distance makes the lens useful for shooting reasonably close subjects. 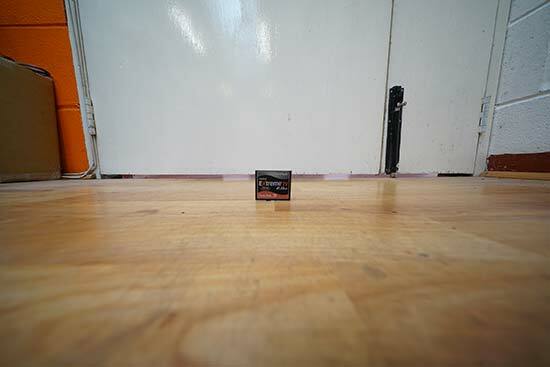 This image is uncropped and shows how close you can get to a Compact Flash card.